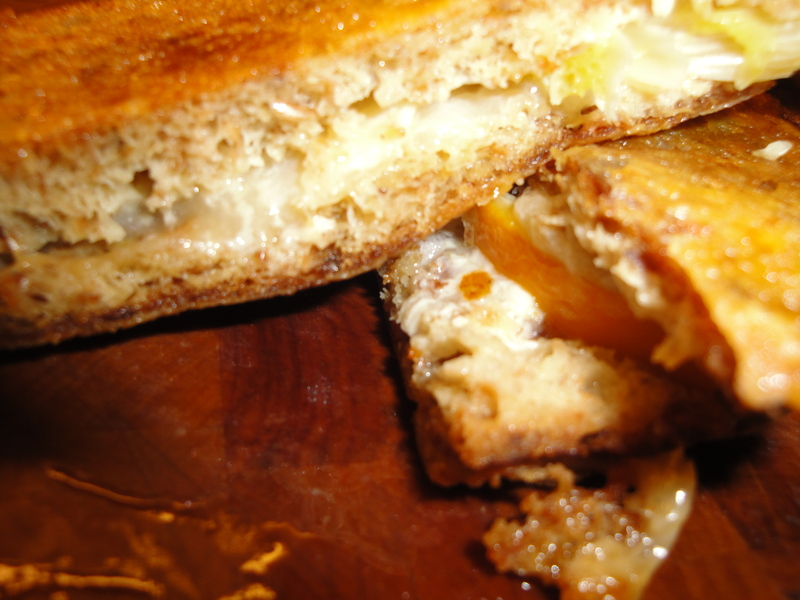 Remember April 12th is national Grilled Cheese Day, this is a really good one to have now or then. 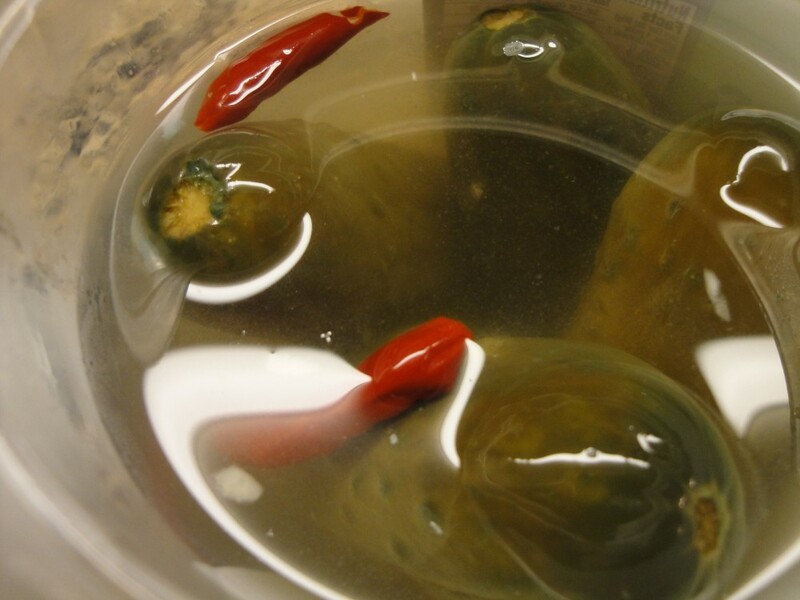 If you look on my Pam’s Tactical Kitchen face book you will see the picture of my home-made pickles made from my home-grown cucumbers. The problem is I can’t grow enough to last through the year. 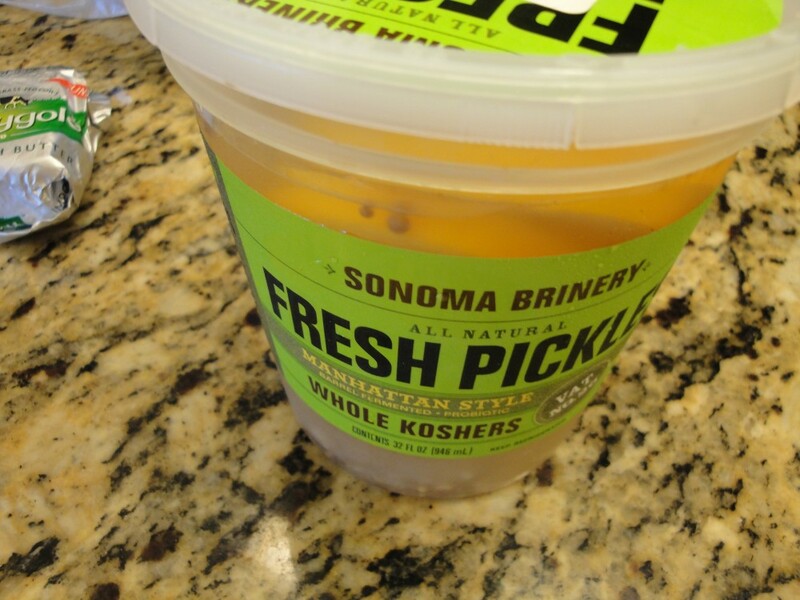 Sonoma Brinery (that I just discovered) makes great pickles and brine! They are really as good as mine. They’re the real deal, just kosher salt, garlic and spices, barrel fermented and of course probiotic. 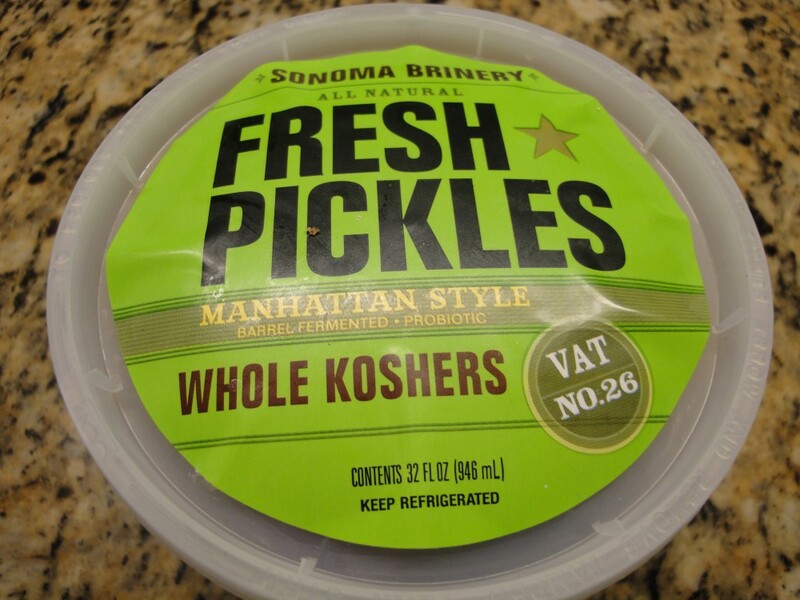 Sonoma Brinery pickles are great with any sandwich. The brine is so incredible, I just can’t throw it out. What to do with the wonderful left over pickle juice? It just happened that our friend Jade has a Meyer Lemon tree that’s loaded down with a big crop. 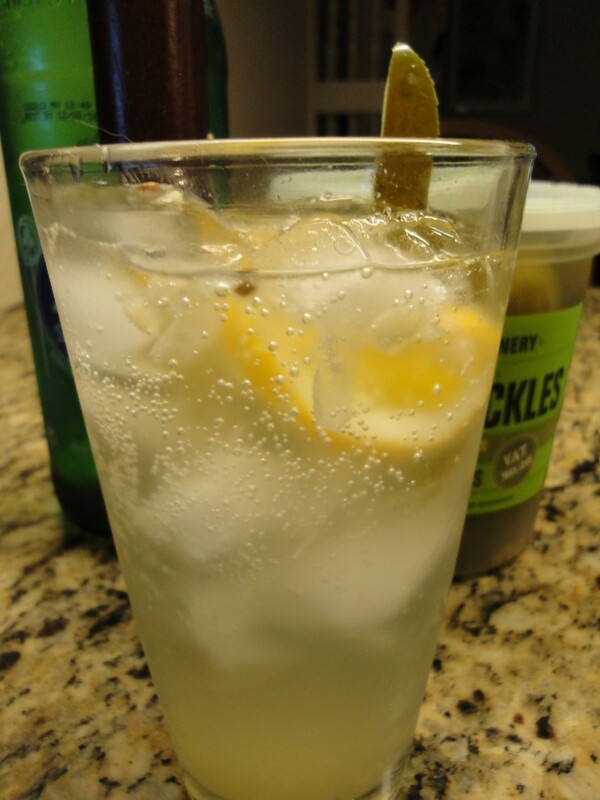 Ok I thought, slice some lemons up and toss them in left-over Sonoma Brine for a couple of days and see what happens. Wow, then I made a fermented Meyer lemon cocktail, the sweet citrus a splash of brine for a nice pickle note and little bits of spices all played delightfully together. It’s a fantastic pairing with the grilled cheese sandwich. But why not put some of that picked lemon goodness into the sandwich? You won’t believe just how good all of this taste until you try it. 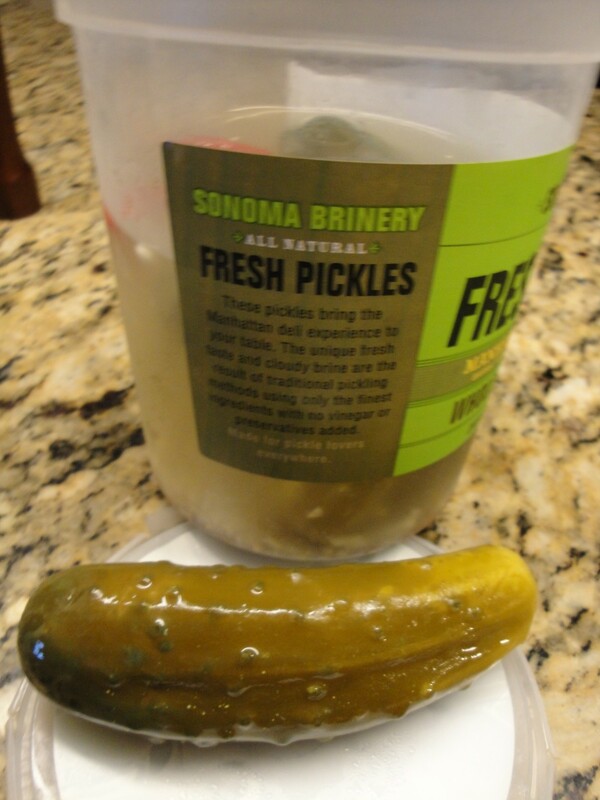 Home-made Probiotic Lacto-fermented Pickles, click picture to see recipe. Clean and slice lemons. Remove seeds. Place in brine. Keep refrigerated. Use after a day or two and use up by the end of 1 week. Sweet Butter, best made with organic raw cream from farmstead grass-feed cows not treaded with hormones, and rBST*. I love Straus* sweet butter, but it is no longer available in my area. Drain lemons and press lightly to remove some of the excess juice. Toast bread on one side with a pat of butter. 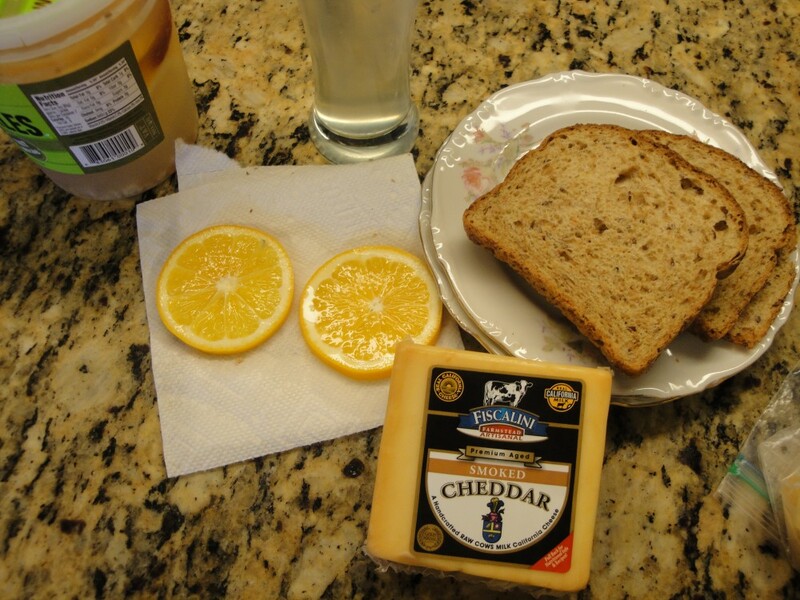 Build the sandwich by placing a layer of cheese, lemons, cheese. Top with the other bread slice with the untoasted side up and a pat of butter. When the bottom slice is toasted, flip and if you have a bacon press use it to press the sandwich. Another why to press, is to simply use a pancake turner or spatula and apply pressure. 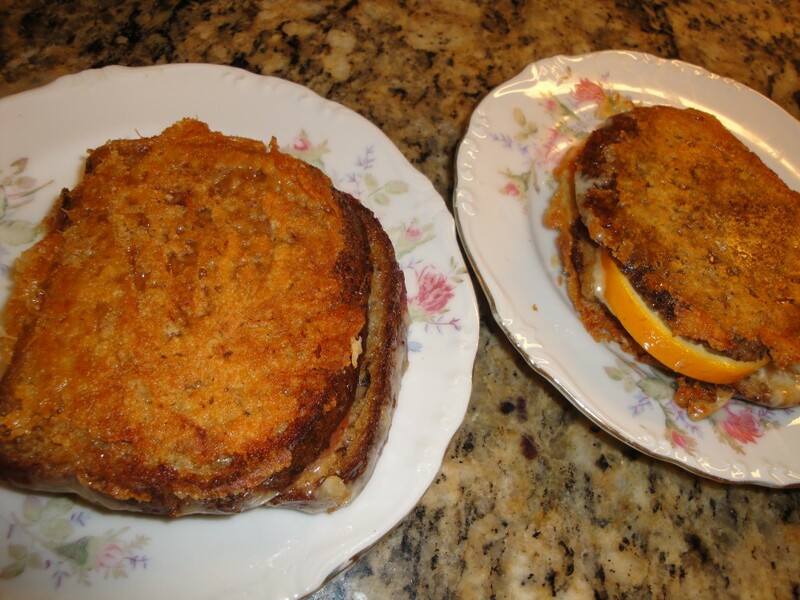 Now for a little lagniappe (a little something extra) crispy cheese on the outside. 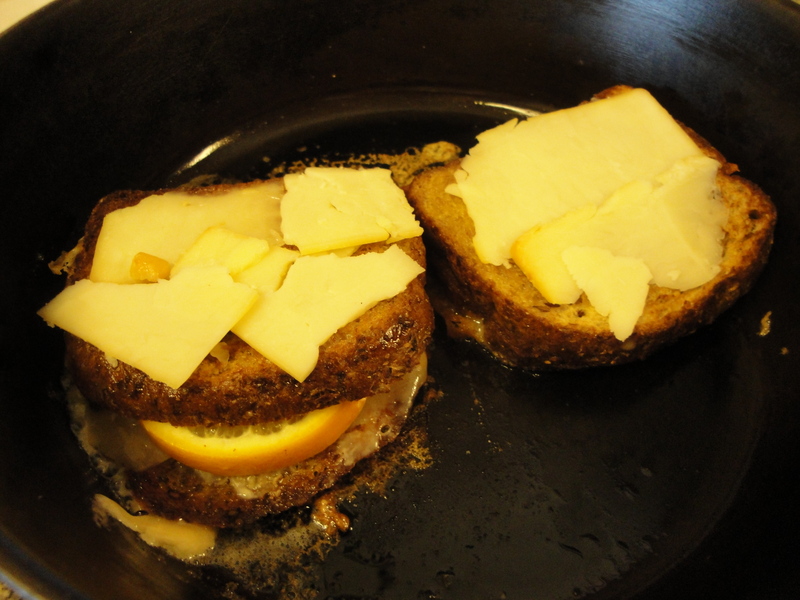 It’s like the bits of cheese that ooze out and fry out, but now it’s on the outside of the bread slices. So unbelievably good, crunchy nutty smoked cheese surrounding the rich sprouted bread outside. Inside the rich and smoke flavors from the melted cheese, against soft sweet tangy citrus center. Enjoy! 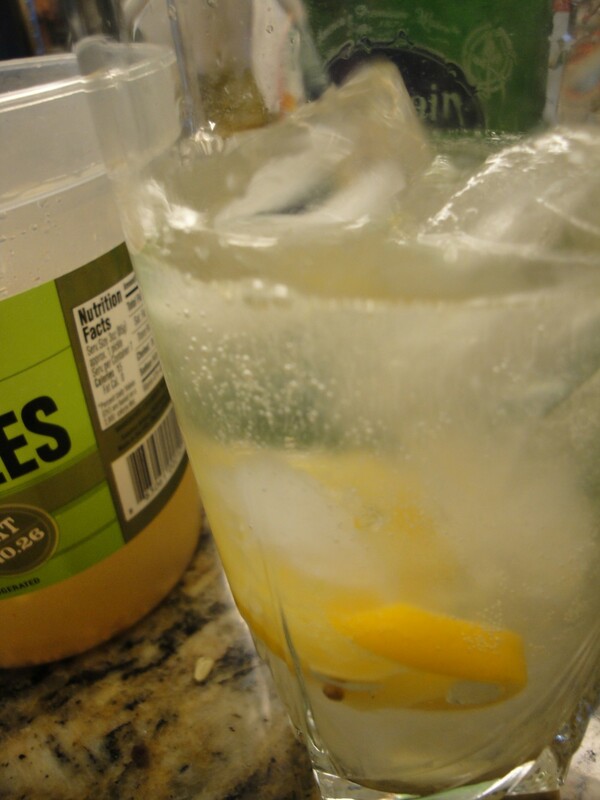 Place a few ice cubes in glass squeeze and muddle lemon. Add a shot of vodka. Ad a shot of brine, be sure to get some of the spices in. 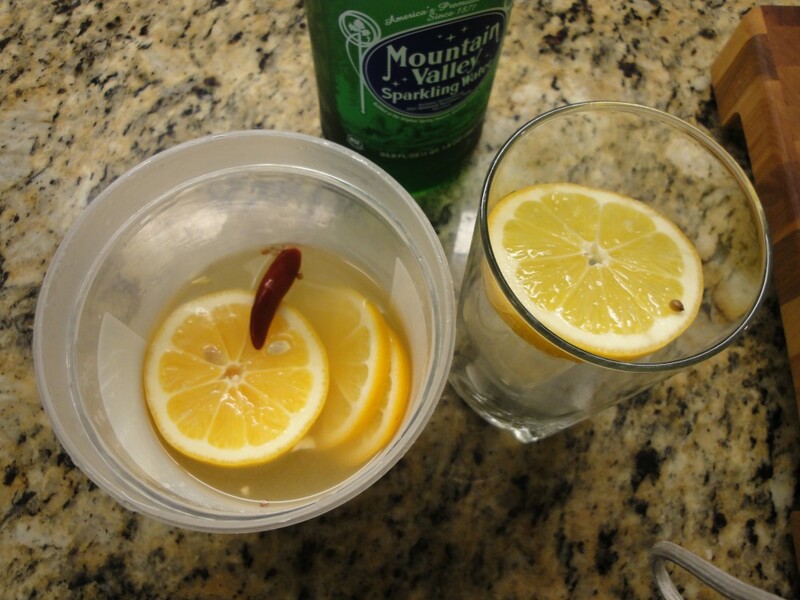 Fill with sparkling water, and stir. Delightful healthy, and so refreshing.